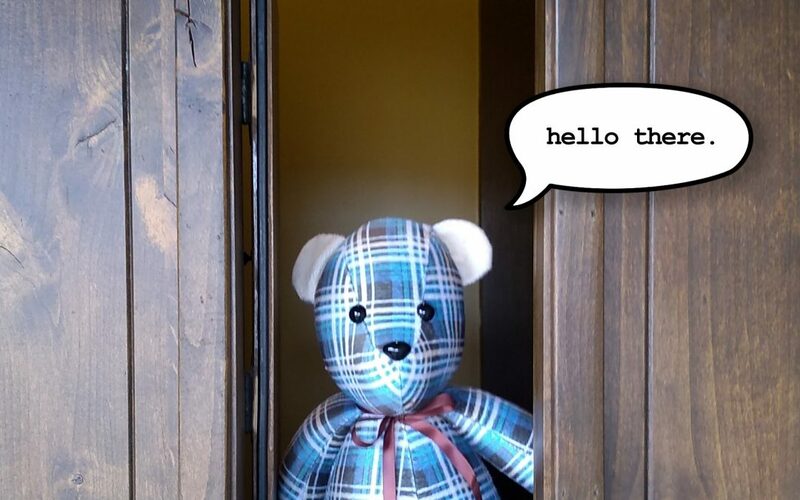 Introducing... the new Plaid Oak mascot | Yay! WooHoo! Welcome to his little world of travel, curiosity, and adventure. Although, sometimes he just likes to have a few close friends over to enjoy some good food, and good conversation along with a warm drink. But, regardless of what each day holds, he is very much looking forward to meeting YOU! Follow him on Instagram @oakie.the.bear or on Facebook.